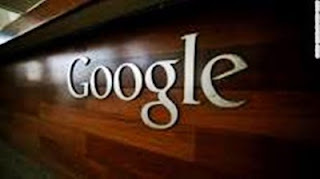 The Mountain View, the California-based company is expanding or opening offices in nine states, Google (GOOG) CEO Sundar Pichai said. "We plan to hire thousands of people across the U.S. this year," said Pichai. "Last year in the US we grew faster outside the Bay Area than in the Bay Area. To support this growth, we will be making significant investments in offices across nine states, including Colorado and Michigan." Typically considered a Silicon Valley company, the plans are consistent with Google's U.S. hiring in recent years. The company currently has an office or a data centre in 21 states. The Alphabet-owned company will also open or build five new data centres in the United States in 2018. The company currently has six open data centres in states including Oklahoma, Iowa and North Carolina. A single data centre only employs between 70 and 350 people. Though their data centres don't generate huge numbers of jobs, tech companies typically receive local and state tax incentives in exchange for picking certain locations. Google is also busy planning a massive expansion into San Jose, which is only 13 miles from its current headquarters in Mountain View. There's been increased attention on tech company hiring in the United States, and political pressure to invest and create jobs locally. Facebook has five data centres across the country and plans to open five more. Apple recently said it would invest $30 billion in facilities and create 20,000 jobs in the United States over the next five years. Amazon has turned its search for a second headquarters' city into a highly publicized contest -- dangling the promise of 50,000 new jobs for local tax break offers.